City of London parking restrictions. Free of charge weekday evenings after 7pm and free of charge on weekends. 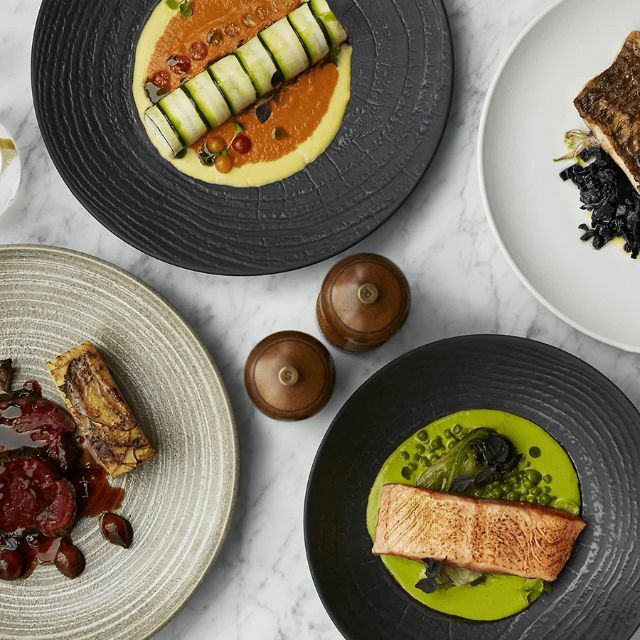 HELIX restaurant is now open to the public, offering sky-high contemporary dining at both lunch and dinner with majestic views across the city. 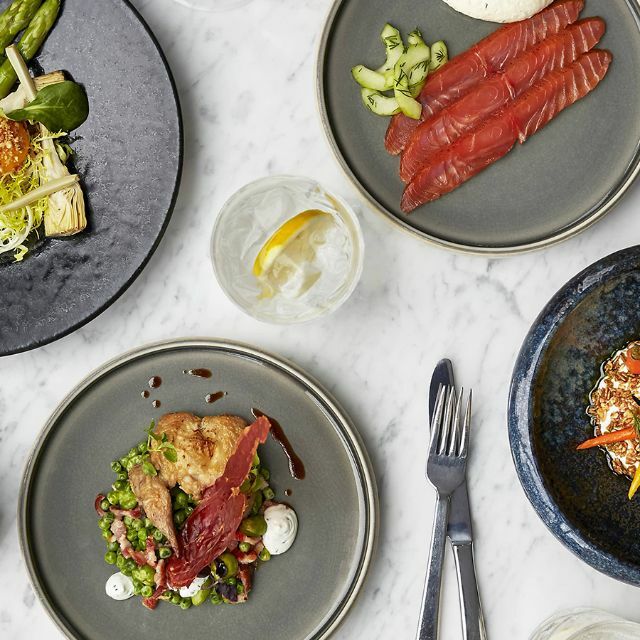 A proud celebration of British produce in one of London’s finest landmarks, the menus put seasonal and local produce centre stage. 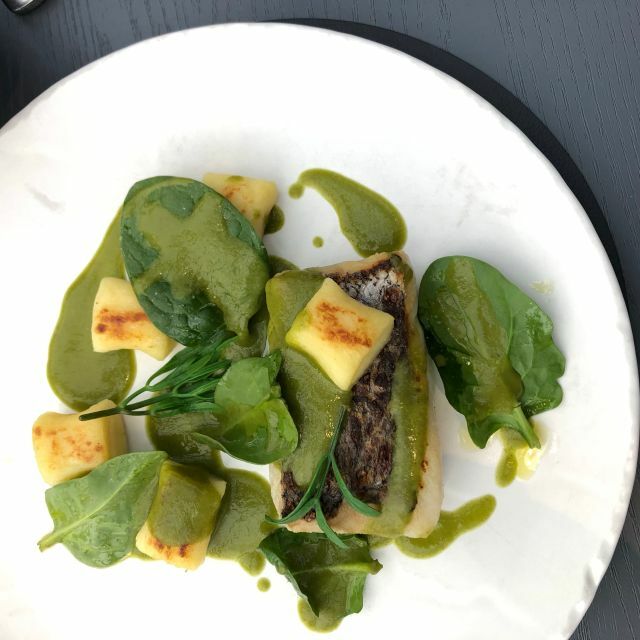 Open from Monday to Saturday for lunch and dinner and Sunday for brunch, HELIX restaurant requires bookings in advance and availability is open five weeks in advance. For same day bookings, please contact the restaurant directly on 03301070816. Enjoy a 4 course Sunday Brunch and a glass of champagne for £45. The view from the restaurant (visible from all tables) make Helix/Searcys a fantastic venue for special occasions, and for this reason alone I would recommend. Having said that, you are most definitely paying for this in the cost of the meal. The service is good and the food is fine (although limited in choice) however this would not be sufficient to justify these prices in a lesser location. Disappointing table located too close to entry resulting in I as host & one other from our group faced toward arriving & departing guests & those going to the bathroom. Obviously layout is best for tables two by window. Very enjoyable brunch, food very good, slightly expensive, but was good. My mum didn't like the background music. the staff were amazing, I proposed and they bent over backwards to give us both an amazing experience. It was not easy to contact the restaurant beforehand which was slightly annoying but it turns out the messages got through and we had a terrific meal. The bar space is breathtaking. The food was good but the staff rushed us, they clearly wanted us out of the restaurant even though we had only been there 1hr 20mins. They kept interrupting our conversation to ask us if we wanted to go to the bar. Very poor service, was very disappointing. We had to wait 35mins just to take our drinks order and then the starters arrived before our drinks. Waiters would look at you and just walk past when trying to catch their attention, even when trying to pay the bill. Very overpriced for the overall quality. 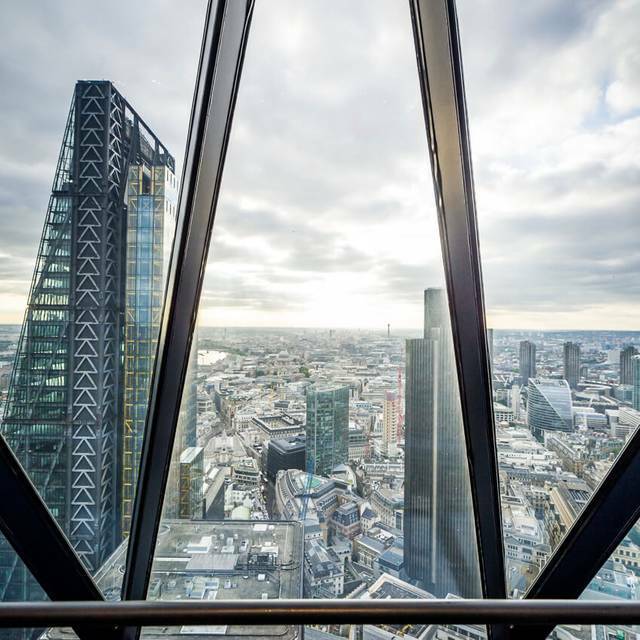 You can get better views from the Shard or Duck and Waffle with much better food and service! 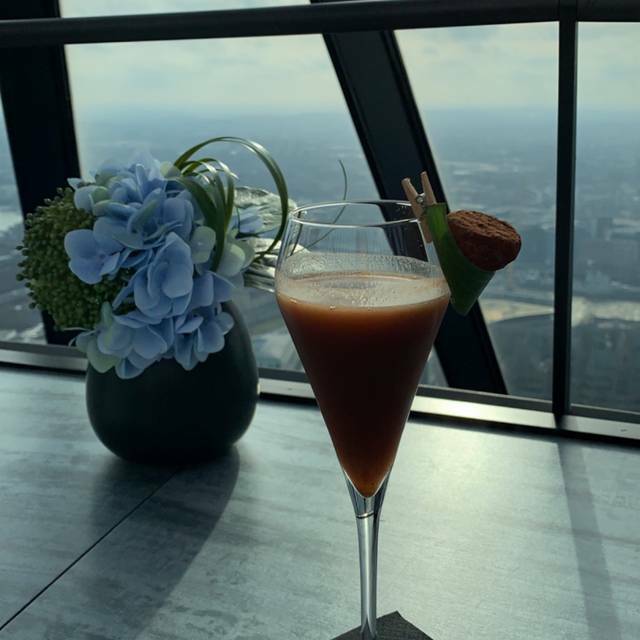 overall a very good venue with outstanding food , very good service with excellent views over London . We came here for an early Mother’s Day celebration. The quality of food was to a very high standard and staff were very attentive. The seats could have been more comfortable. Probably one of the worst restaurants I’ve ever been to. Service was extremely poor, I ordered two drinks, waited a while for them and when someone arrived, they brought over the wrong drinks! Ordered bread to have at the start, still waiting!! Food was SO dry, I’ve had better food in a cafe! I’ve eaten in many restaurants, and this is by far, the worst I’ve eaten in. On a positive note, the view was lovely, even though it was night time! Was very disappointed very small in there & quite canteen looking! The starter (seashore cocktail) was inedible just a glass full of shredded lettuce one mussel & a teaspoon of crabmeat no sauce so dry you couldn’t eat it! My husband got smacked in the back with a large serving tray - no apology was given!! The main was ok & they’d run out of the dessert we wanted! We ordered vodka, lime & lemonade was given vodka & old fashioned lemonade that’s all they had so we had to drink it! Wouldn’t recommend it & won’t be rushing back..
Great service and great food. Was given a table with a spectacular view both in the restaurant and bar. Will definitely be back. We only came because of the unique venue.... and certainly the view and setting did not disappoint. At the time of booking there was a set lunch deal and although it then expired we noticed that a similar deal replaced it. However we assume that must have expired as well . The tasting menu advertised on the website was also not available at lunchtime which is a shame as we would have had that. We had to have things from the a la carte menu. There was a reasonable choice which was good. Prices for lunch are more expensive than some Michelin starred restaurants that we go to so value for money was not great. Great experience in an iconic location. Only one small niggle Opentable should give greater prominence to the fact that you need to let the Gherkin know the names of your party and that you all need to have ID. Only spotted it in the small print about 4 hours before we went. Great night though. Wonderful experience to be in such an iconic building with 360 spectacular views. Great welcome and service. Just a little underwhelmed with the food. We had brunch . I thought it wasn’t very special looking. My partner had steak which was very good. I had the fish cake. Ginger ice cream gorgeous but just served plain three scoops in a dish. We found the service to be very slow especially with the drinks. The cod was much too salty even for someone who likes a lot of salt on their food it was unpleasant. The building is very nice but the restaurant is not as good as the prices demand. We will not be visiting again. Good service here, we went for the set menu which was well presented in tasty but very very small portions which took a little of the shine off. Wines were good and service was friendly and efficient, my favourite was the Hake main. Overall if they were a little more generous with at least their mains then they would generate more loyalty, possibly better as a light lunch experience than an evening meal. Went to Helix for a special birthday dinner, to be sat down to our table 20 minutes late, after being instructed to wait in the IRIS bar and a member of staff would come and get us. We had to constantly chase bar staff to ensure we were not forgotten. We were then seated at a table, dinner menu only put in front of us. Despite asking for a drinks menu, we sat through our entire meal with just one bottle of water. Starters arrived promptly, but we then waited an hour for our Chateaubriand to arrive. It was fatty and tough, even though it was cooked medium-rare. Chips were soggy and our accompanying vegetables we ordered arrived after we'd almost finished our meal. At no point during dinner did we manage to get the attention of staff for drinks, a dessert menu or even asked how our meal was. There was no eye contact made with staff, they'd simply place meals on table and run before they could be asked anything. We were sat near the till and kitchen area where we were privy to many disgruntled and angry discussions between waiter staff and the restaurant manager with conversations held in public, loudly and in English and French. Again, causing unnecessary attention to an already awful situation. How is this professional in an establishment of this kind? What was meant to be a wonderful, stress free evening turned into an agitated, below par service with lacklustre food. The view was beautiful obviously. However the food was just OK... The servers were nice but the flow of the service seemed a bit disorganized. Fantastic place to sit and watch over London! We had the fixed price menu - the starter (beets) and the main (hake) were really tasty and beautifully presented, let down slightly by the pudding (pavlova), which was decidedly average. We moved upstairs to the bar to finish our drinks and to soak up the views. Lovely staff. Recommended. Fantastic service, view, experience. Generous feeling of happiness there. Loved it! Nice view of London skyscrapers, relatively quiet. Good choice if you want to discuss. Great food. A truly impressive experience, very well organised. The staff were professional and friendly. Service was fantastic, with a window seat being offered when one became available. Food was fantastic, we could have eaten it all over again. Thank you for such a great night. Outstanding location wonderful food great service no complaints! Lovely view and food. The service personnel were attentive and knew the menus really well. Great food, friendly service. Set menu exceptional value for money. Always a stunning location. Staff very attentive and friendly/professional. Your paying for the views which are fantastic. Food is good but expensive and for similar price could get outstanding meal elsewhere. Service was average, we had planned few hours but service seemed too quick, no aperitif offered straight in, cheese not an option after desert etc.. but good for business meal if you want to be done in 1.5 hrs. Making the reservation and subsequent amendments was very easy and the front-of-house were exceptionally pleasant. The view from the restaurant and the bar is incredible, there is the sensation of being in a sci-fi or dystopian movie surrounded by other skyscrapers and the City Skyline while also looking down to Tower Bridge and the riverbank. My guests shared the Chateaubriand and proclaimed it "divine", the smoked salmon starter and vichy carrots were also excellent. Desserts were a bit too sweet (we had all) however the complimentary chocolates were delicious. We had a corner table which was relatively private and suited our needs, however service was patchy due to some larger, nmore central tables. Overall we hada thoroughly enjoyable evening. sidenote - would benefit from more or larger bathrooms. Beautiful venue, quality food with excellent service. The Jerusalem artichoke soup was amazing to start and the egg in the center was a superb touch. 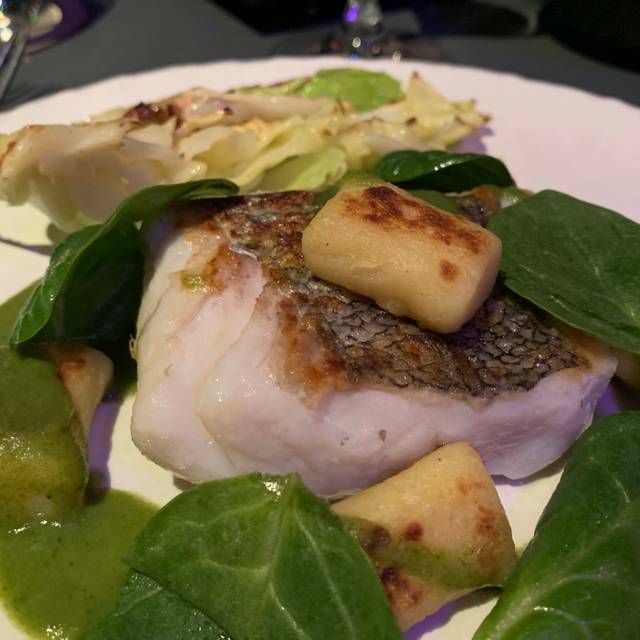 The Cornish cod fillet as a main meal was excellent. My fiancee had the smoked salmon starter and superbDevon-coast stone bass for her main. the added touch of an anniversary surprise was also a great touch and capped a truly special evening. Awesome setting and views. Booked for 9pm but our table wasn’t ready for over 20 mins. Went to the bar on the top floor whilst we waited. Amazing views but drinks were very overpriced for what they were - but You know you’re really paying for the views. Food was good when our table was eventually ready. Service was ok, if a little amateur. Great restaurant for special occasions but won’t be in a hurry to go back - much better food and value for money elsewhere.